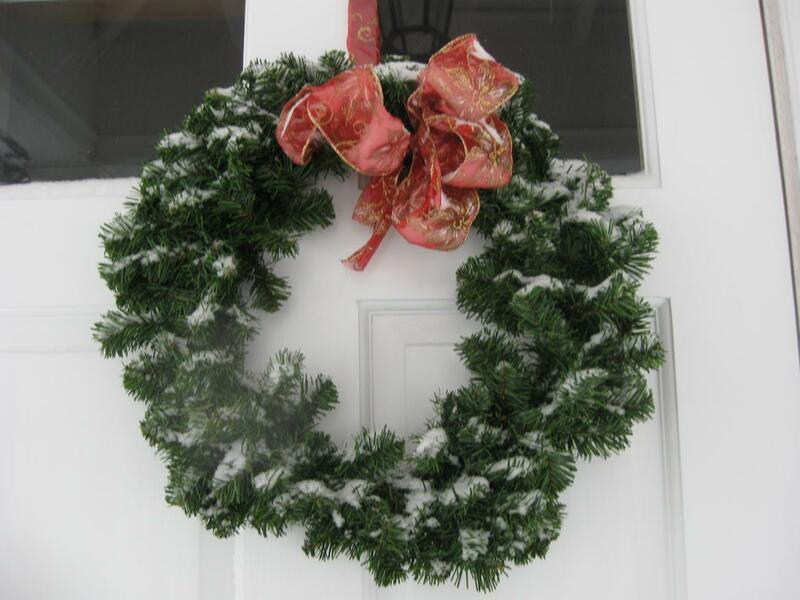 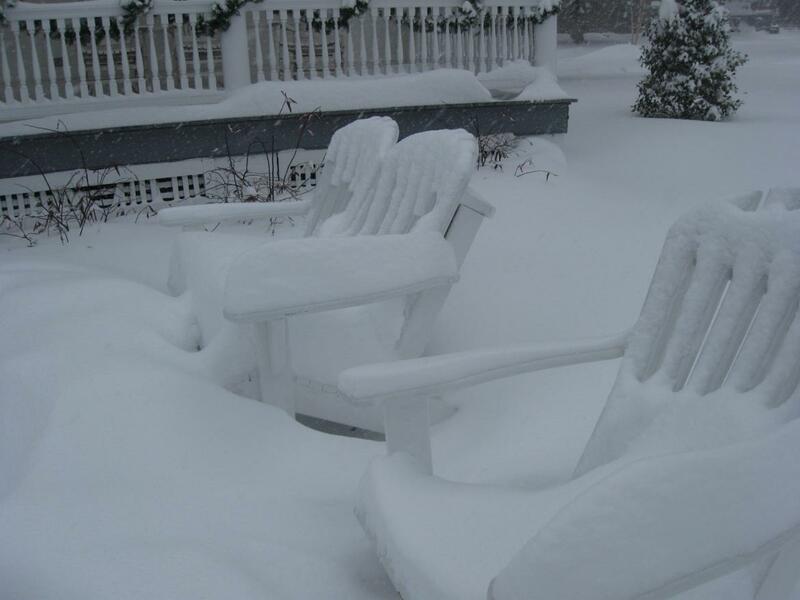 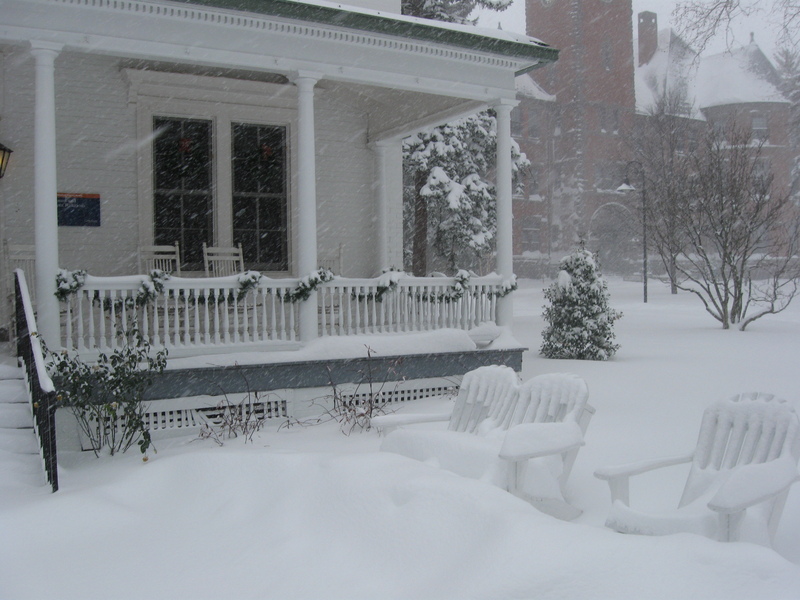 This view was taken facing southwest at approximately 11:30 AM on Saturday, December 19, 2009. 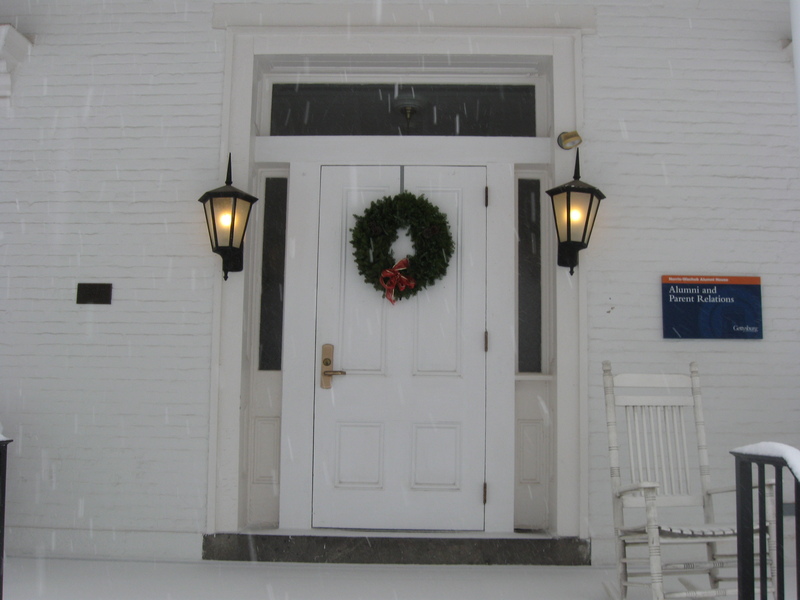 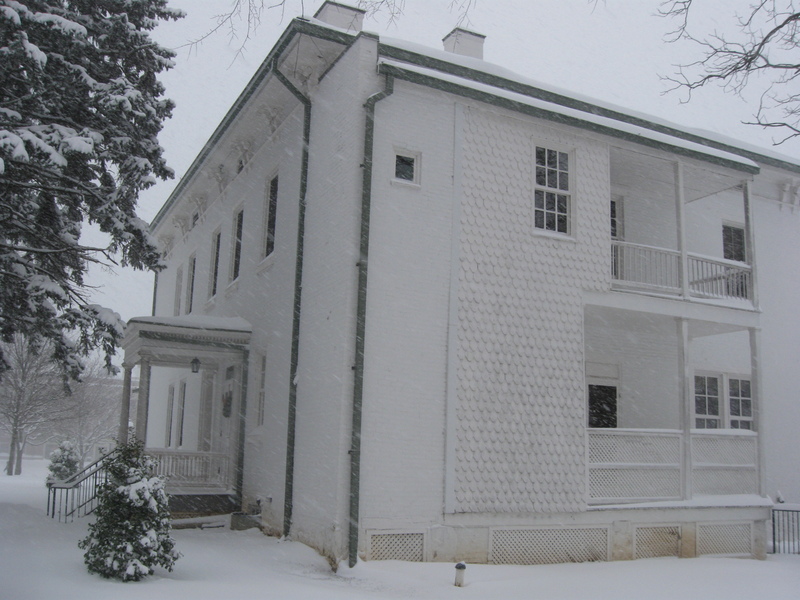 On Saturday we also photographed the Henry Baugher house during the snowfall. 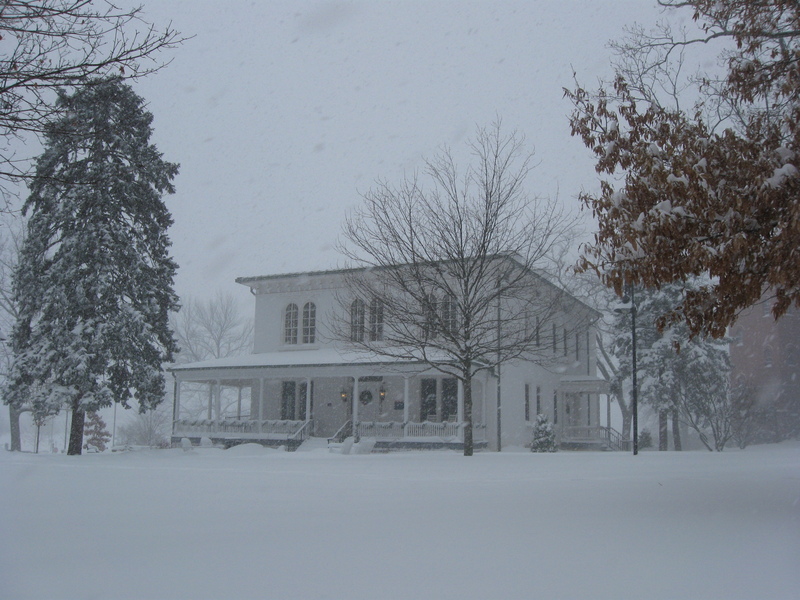 The Baugher House is on the Gettysburg College campus and was one of two college buildings standing at the time of the battle. 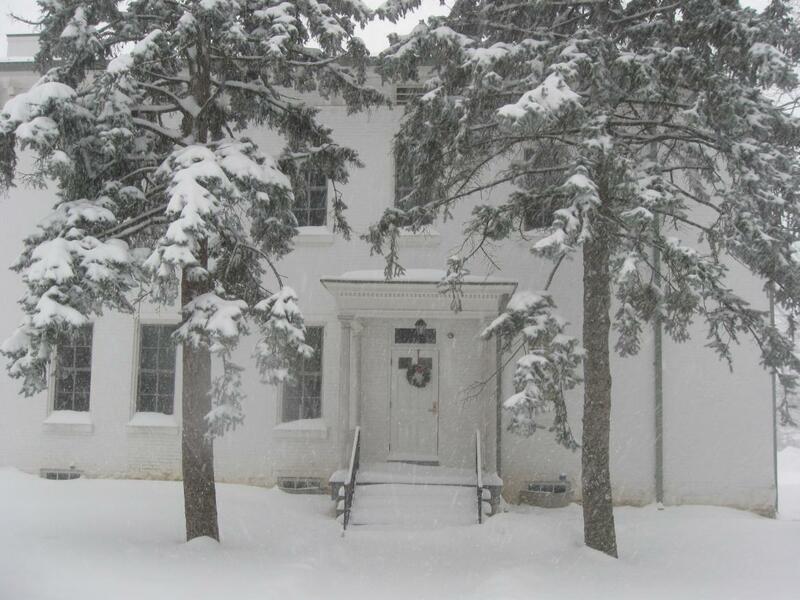 For information about the house and its residents see our post from last year here. 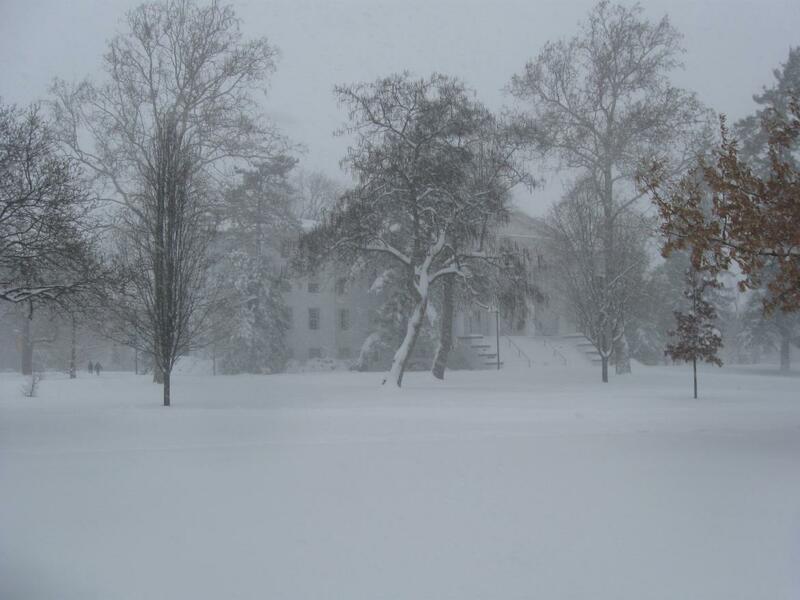 This view was taken facing west at approximately 11:30 AM on Saturday, December 19, 2009. 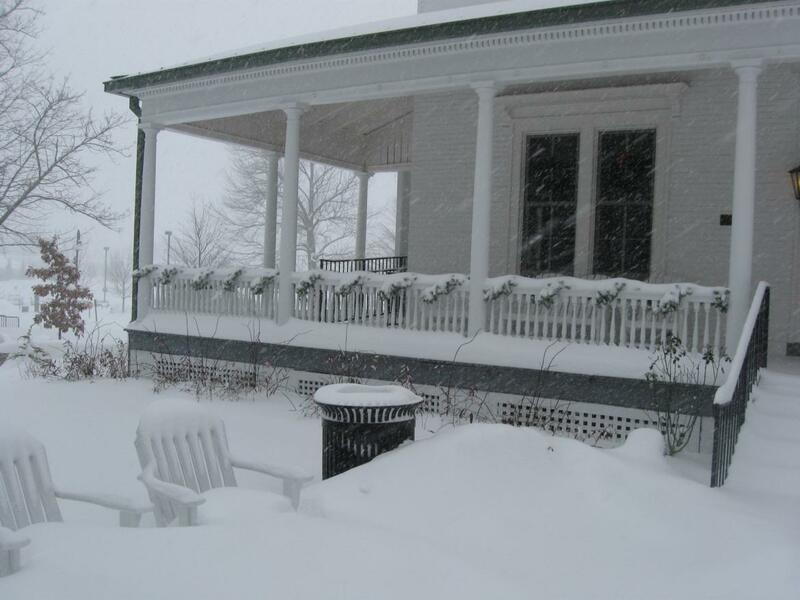 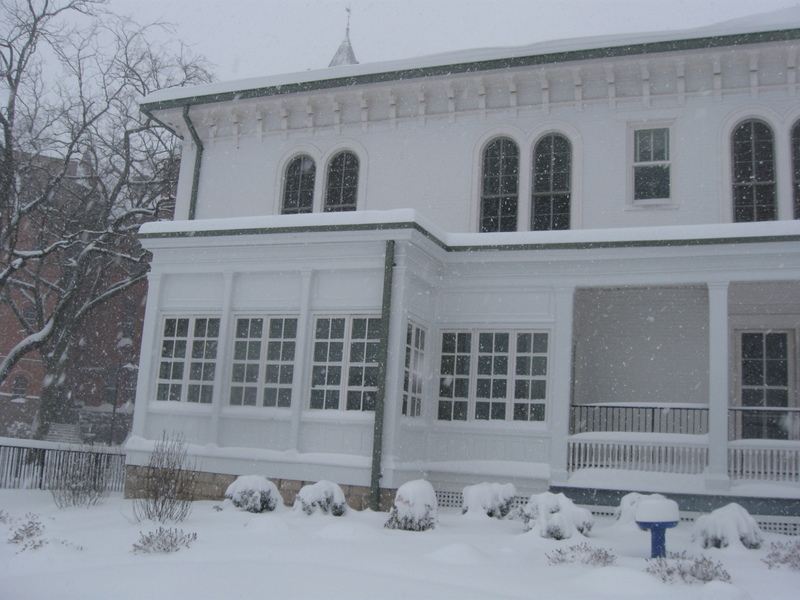 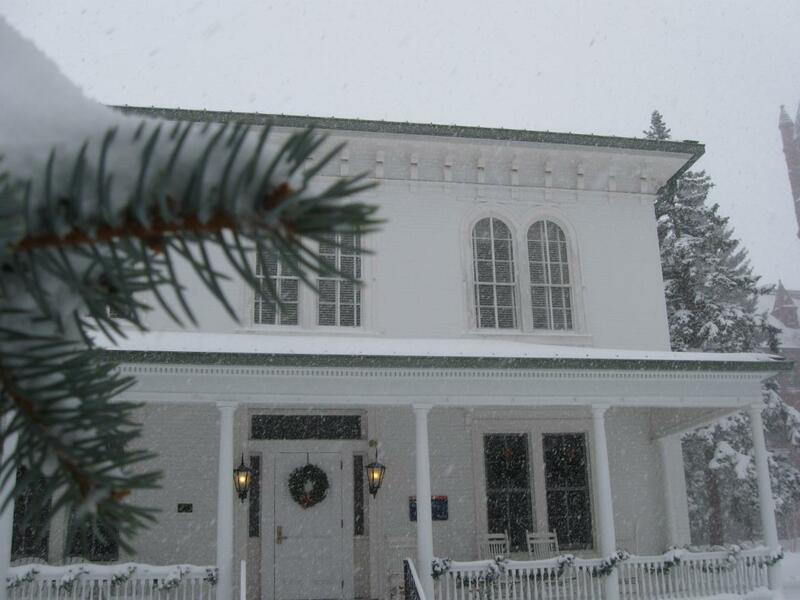 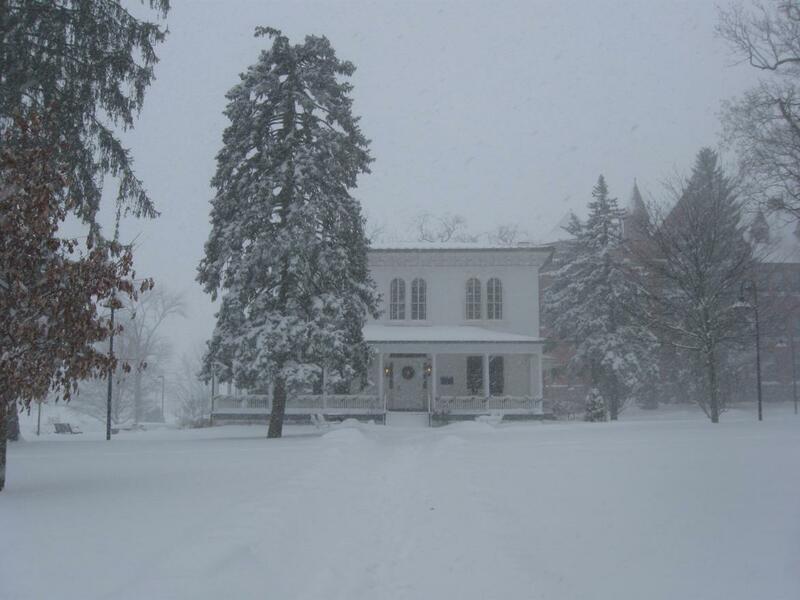 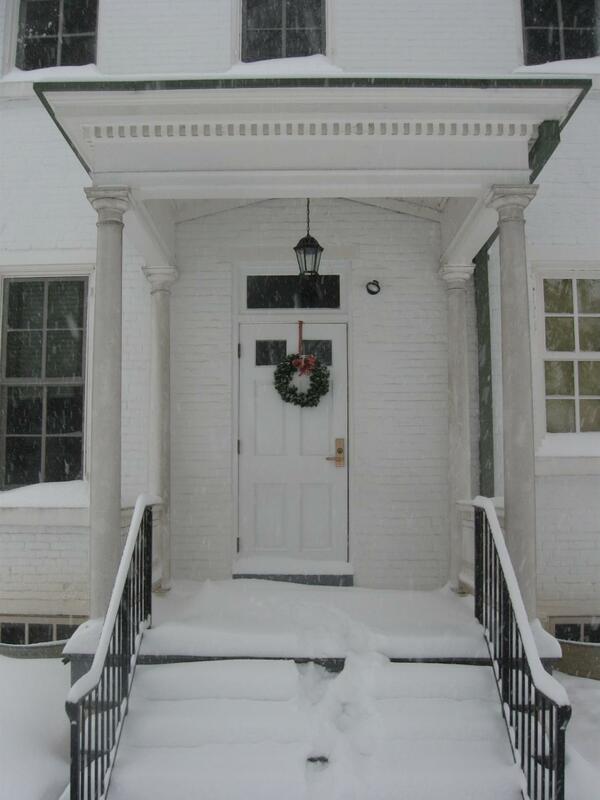 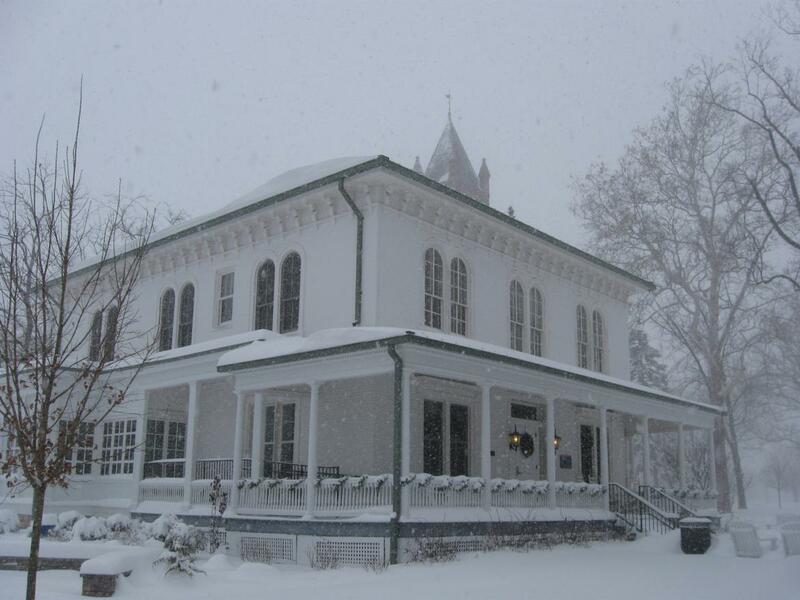 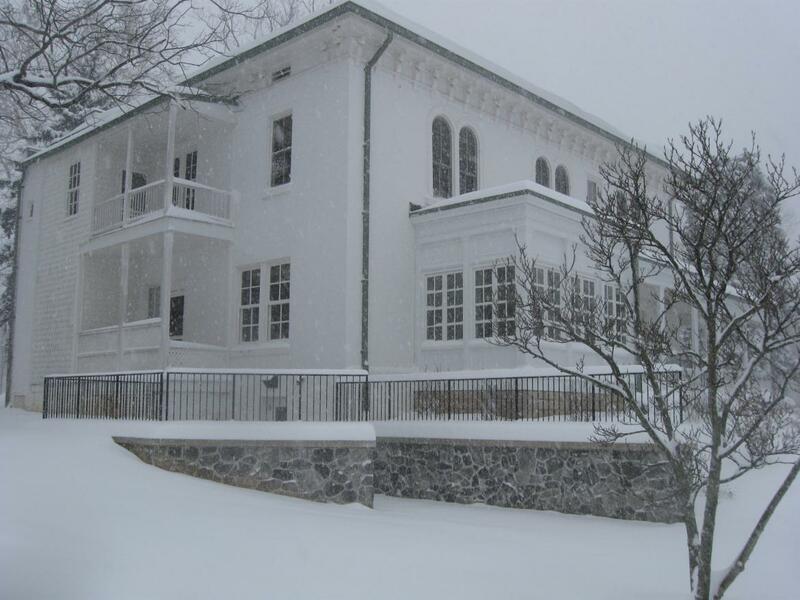 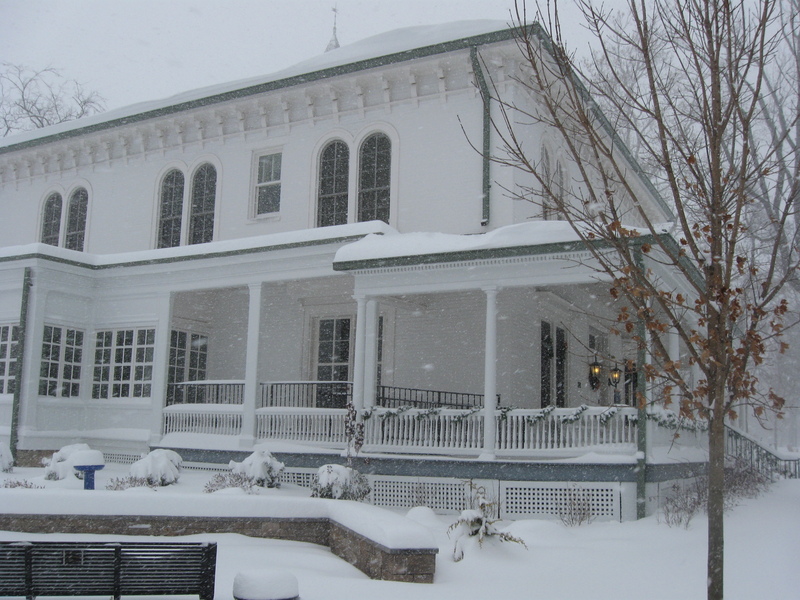 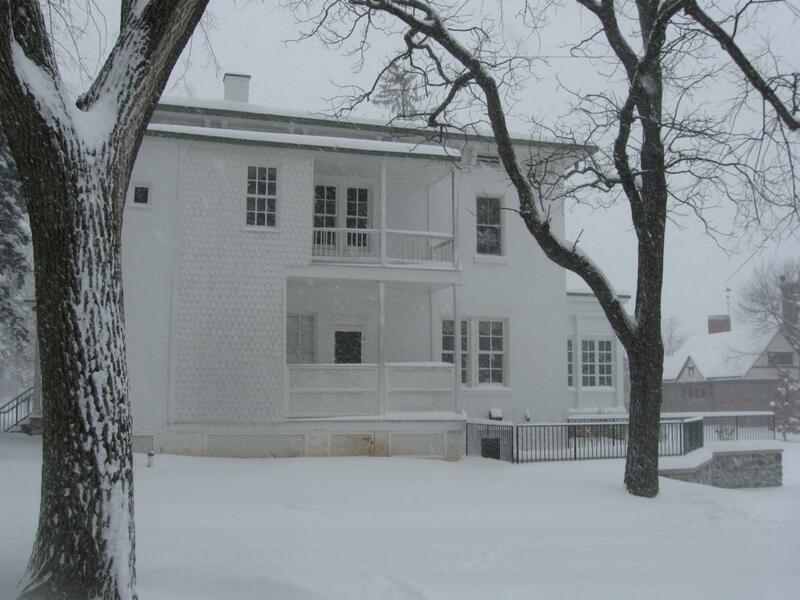 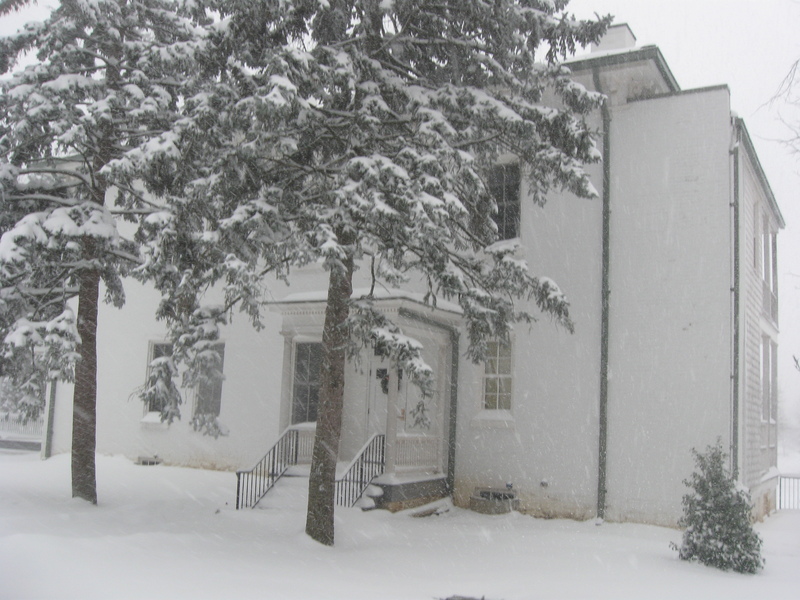 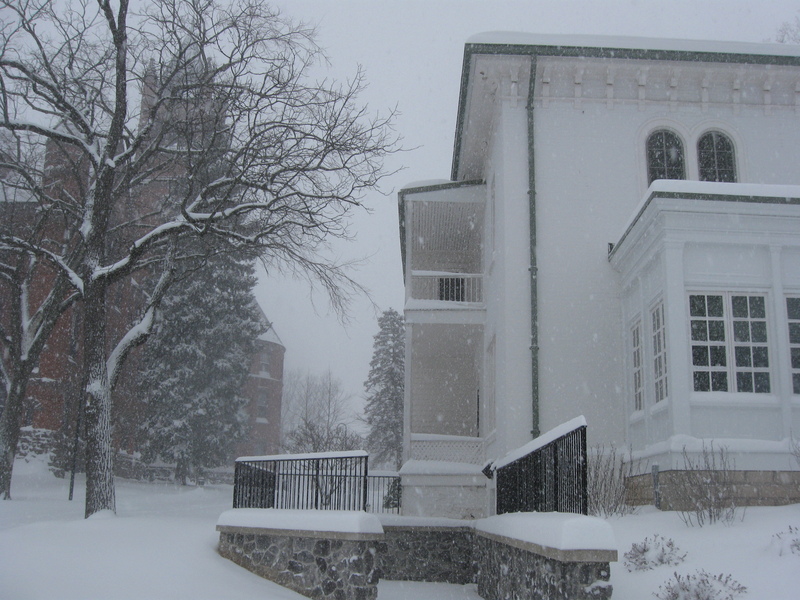 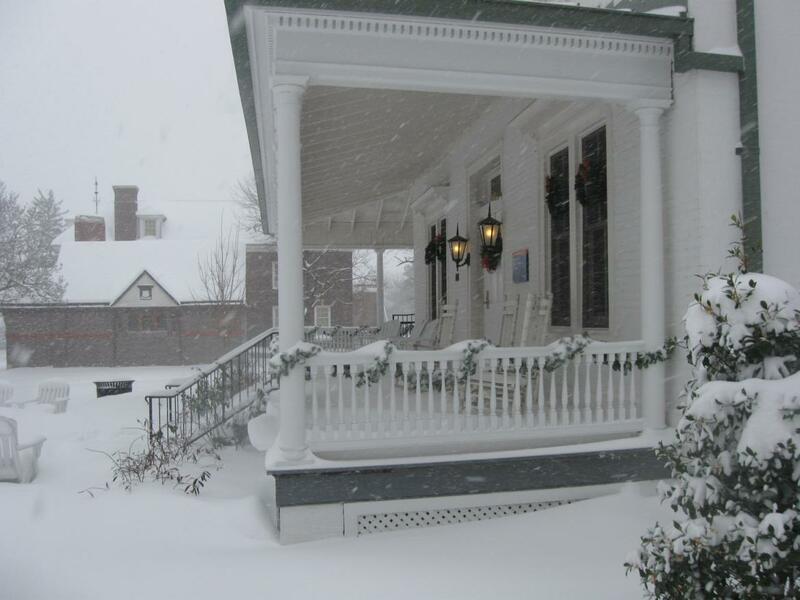 A view from the Baugher house facing Pennsylvania Hall which we’ll show during the snowfall tomorrow. This view was taken facing north at approximately 11:30 AM on Saturday, December 19, 2009.